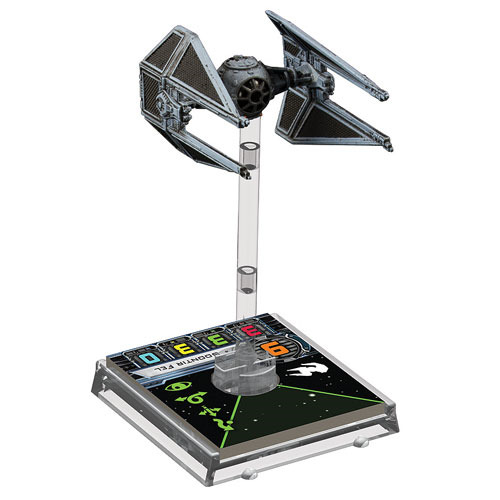 Imperial players can add a lethal starfighter to their X-Wing squadrons with the Star Wars X-Wing Game TIE Interceptor Expansion Pack. The finest mass-produced starfighter of its time, the TIE interceptor excels at dogfighting, thanks to its heightened maneuverability, increased speed, and four wing-mounted laser cannons. With its detailed miniature, two upgrades, and six skillful new pilots that include the renowned Soontir Fel, the TIE Interceptor Expansion Pack creates exciting opportunities for all Imperial X-Wing players! Please note: This is not a complete game experience. A copy of the X-Wing Miniatures Game Core Set is required to play. For ages 14 and up.